Cyprus (quite literally the Island of Love) is simply perfect for a romantic, cultural, and fun honeymoon in the Mediterranean. So what are you waiting for? Since the Goddess of Love was born in Cyprus, it really is synonymous with romance. There’s so much to see, do and taste on this lovely Mediterranean island, situated between Greece and Turkey. 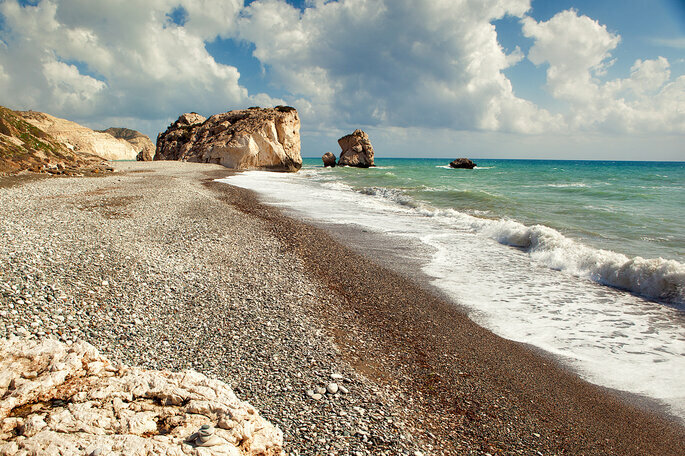 The ancient Greeks and Romans used to make pilgrimages to Paphos to visit the Rock of Aphrodite, a sacred place where the Goddess was born from the wavy sea. 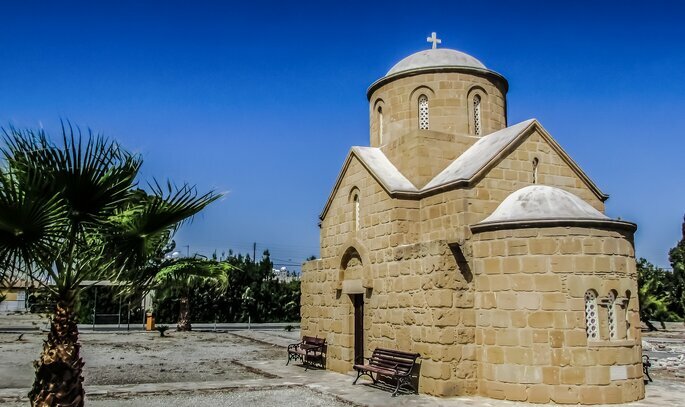 It is no wonder, then, that it is one of the most symbolic places in the world to celebrate love – a honeymoon in Paphos really is an ancient tradition! Chosen as the cultural capital of Europe for 2017, the city also offers archaeological wonders and centers of contemporary and urban art. 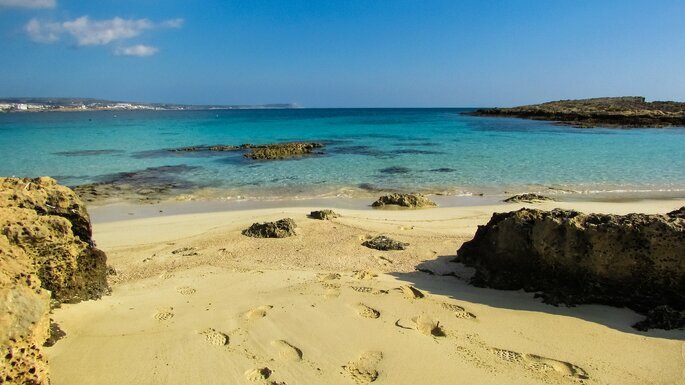 Then, of course, there’s the spectacular beaches, with the delightful waters of the Mediterranean. It is precisely in Paphos that you’ll find the fantastic Elysium & Mediterranean Beach Hotel. Combining Greek, Byzantine and Venetian influences, the seafront hotel offers enviable views of the Middle Sea from all its rooms. With a special package for newlyweds, you can even spend your first memories together with a private balcony and pool. In the same city is the modern Azia Beach Resort, another perfect option for couples seeking the best of contemporary luxury. The Azia offers rooms that open out onto gorgeous gardens as well as rooms with a jacuzzi on the balcony and a choice of sea or mountain views. For those who want to enjoy tranquil romance without interruptions, the hotel has an area reserved for adults only. 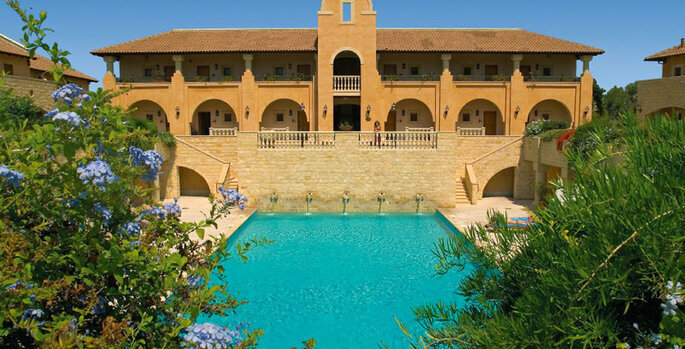 Atlantica Hotels & Resorts also built the beautiful Aphrodite Hills and Atlantica Golden Beach Resort, attesting to the romantic vocation of the the mythic goddess herself. On the south bank of the island lies Larnaca Bay. With calm waters and a luxurious atmosphere, the city its expansive beaches also house the lovely Palm Beach Hotel & Bungalows, which blends the modern atmosphere of the city with the cultural essence of Cyprus to create an unforgettable luxury experience, complete with a quality service and opulent decor. As well as being a fantastic honeymoon option, the gardens and the views here also make a beautiful setting for a destination wedding ceremony. 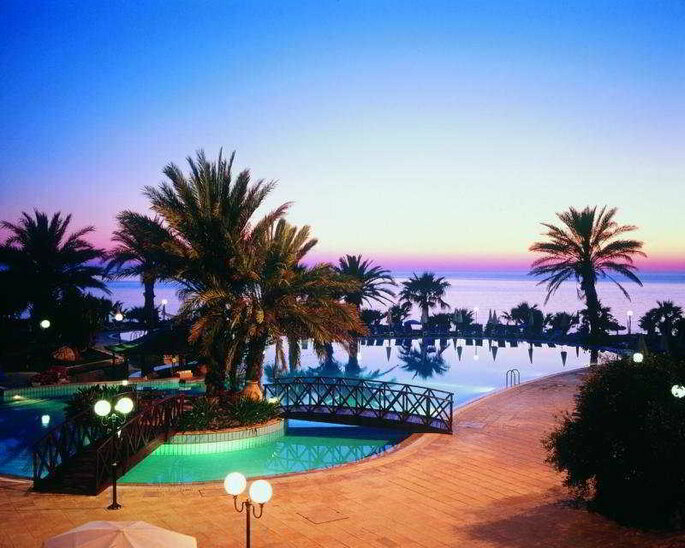 In the Limassol region of Cyprus you’ll find one of our favourite honeymoon spots, the St Raphael Resort & Marina. It’s the perfect leisure complex for lovers of water sports. Whether you’re staying at the hotel or anchoring in the marina, the resort offers an all-inclusive luxury experience designed to make guests relax and have fun. For those who dream of spending their honeymoon with a Mediterranean yacht charter, St Raphael may well be your heaven on Earth. As you can see, Cyprus (quite literally the Island of Love) is simply perfect for a romantic, cultural, and fun honeymoon in the Mediterranean. So what are you waiting for?